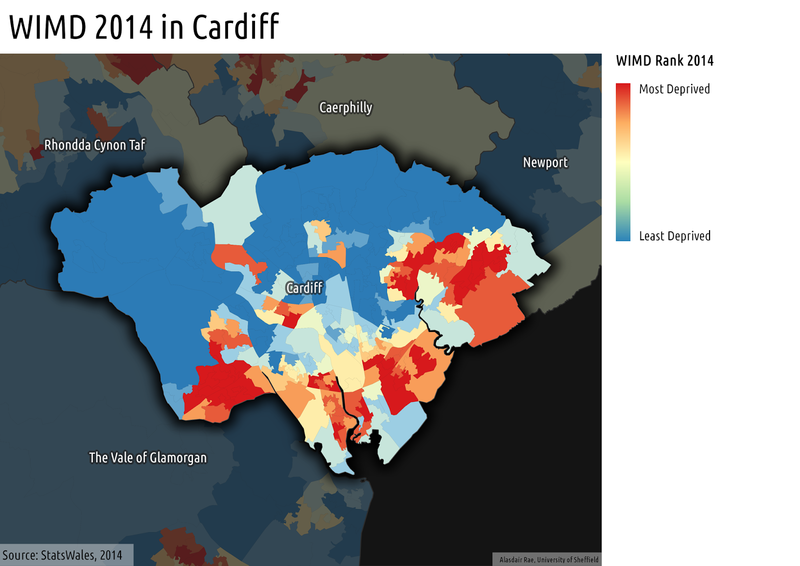 The Welsh Index of Multiple Deprivation 2014 was published on 26 November, using more up to date and improved indicators. 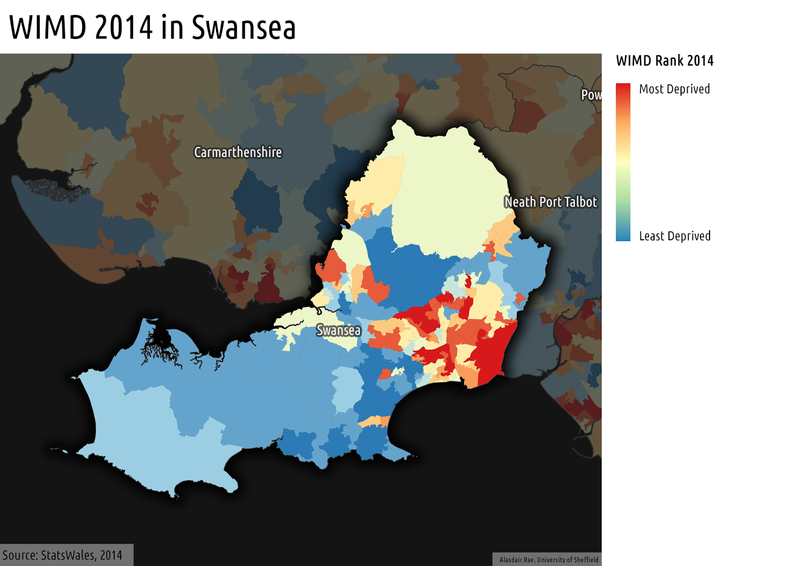 The Welsh Government have provided some nice interactive mapping, but James Trimble's version is I think even better. 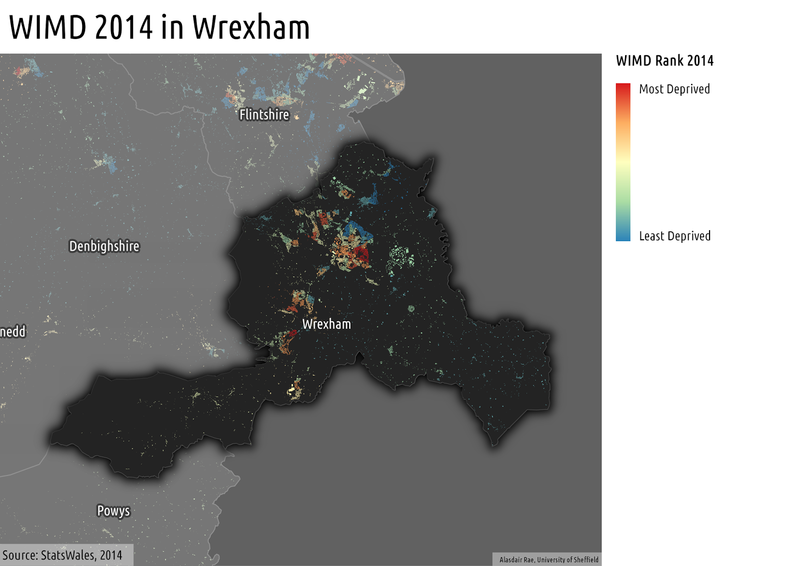 I've done basic interactive versions in the past, but today I just want to share the raw GIS data and a few maps, for anyone who is interested in either looking more closely at their area or doing a bit of spatial analysis themselves. First of all, here are a few basic WIMD maps, clipped to building outlines (click images to enlarge). I made these in QGIS, using an automated atlas production technique I've described on the blog before. 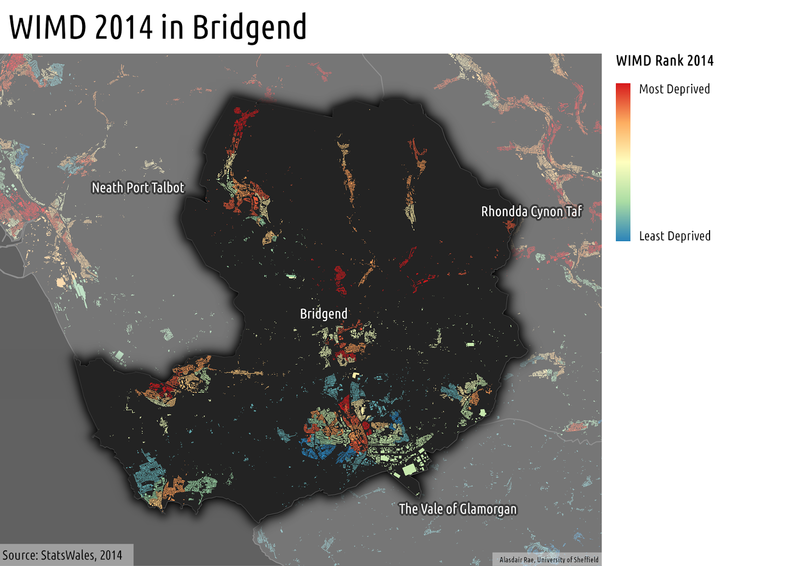 If you are looking to produce some WIMD maps, you might want to try this method. 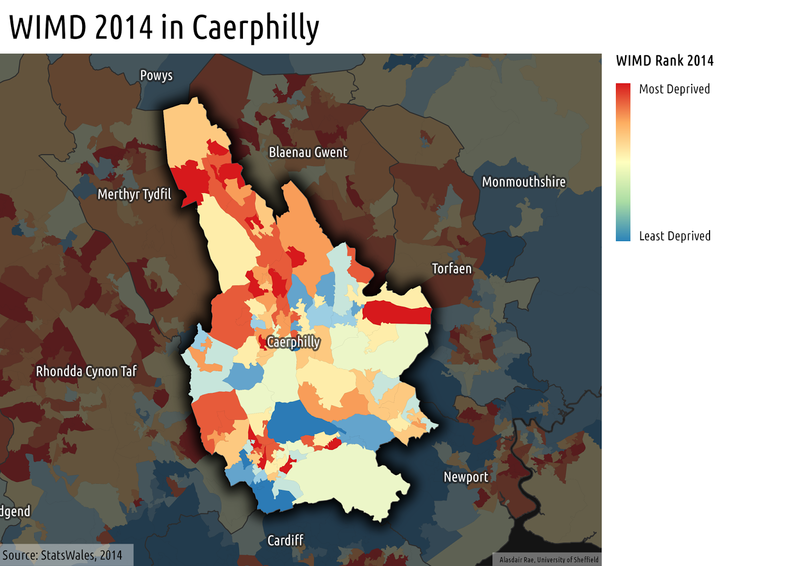 I've also produced some WIMD 2014 maps in standard choropleth format, as you can see below. These are okay in areas which are densely populated but I find them more misleading for larger rural areas where there are not many people. 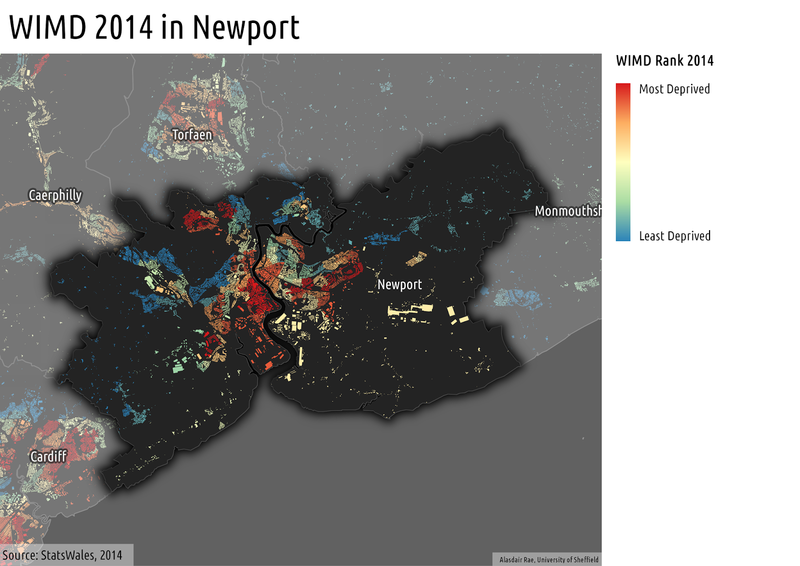 I know a lot of people across the public sector in particular will be looking closely at the data, so I thought it would be helpful to make the underlying shapefiles publicly available since the data are open. If you click on the link below you'll be taken to a download page via Google Drive. Any questions, then feel free to get in touch. 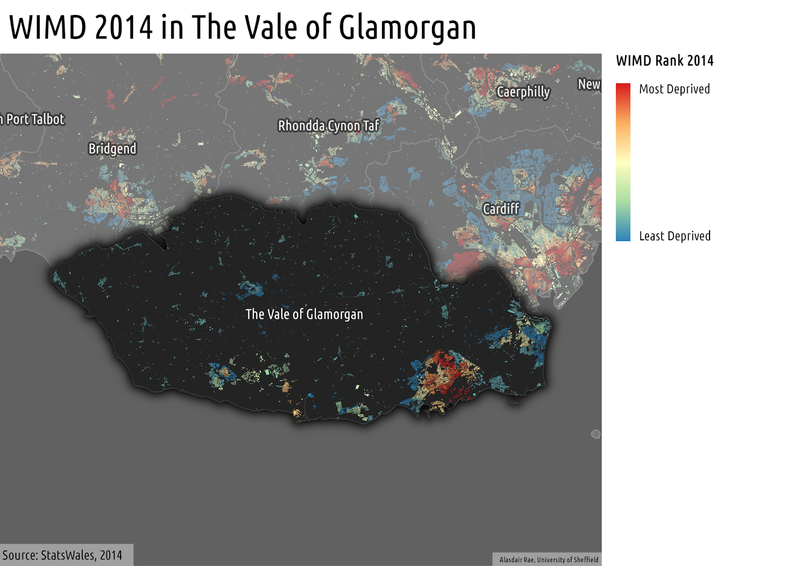 Download files: WIMD 2014 Shapefiles - for LSOAs and LSOAs clipped to building outlines.